Madeleine - What plans has the Universe already made for us? What plans has the Universe already made for us? It's been a while since I wrote, I guess almost 9 months. Yea, I'm still living in incredible India with my incredible man in Manipal, and we've been traveling back and forth Manipal since last year, lived in Goa during season time, planning the future, met obstaobstatricls on the way and overcome them. We're planning to come to Sweden this summer and so Sadu had to apply for visa which got denied the first time. This hit us both very hard emotionally. But we told each other to give it another try, since the reason for denying the visa was very vaguely explained. India is a very bureaucratic country, as I've probably mentioned before, and it wouldn't surprise us that they just denied it just so they could get another 5000Rs in their pocket...incredible India..
After the application we finally traveled up north to Himachel Pradesh - mostly to enjoy the wonderful mountains, trekking etc. But to also assess and help out a project work in Kasol. 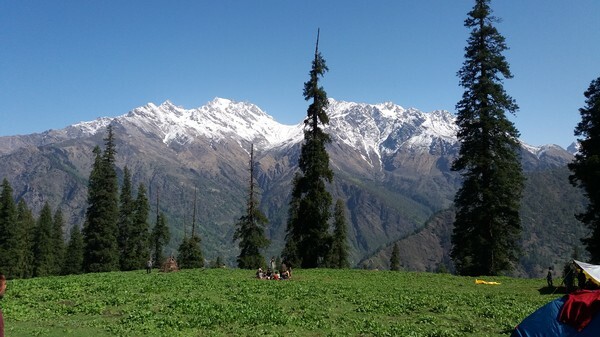 And so when we had spent about a week in Parvati valley I called my college to confirm payment and date of my exam, and so I came to know that I also had a practical exam to do. A practical exam I already passed last year. Apparently, if you fail in your theory exam, which I did with 5 MARKS, one have to do the 6 houre long and mentally challenging practical exam aswell, again. I totally broke down in tears, anger and frustration. And so I just had to abruptly end our travel and other plans and head back to Manipal, leaving my bf in the beautiful mountains. It was not easy to go back. I'm still in "chock" and feeling down, as if I'm on the edge of crying any time.. So, this last two months have not been very easy, but I guess as life in general gives you challenges to overcome and become stronger in the end. We both have discussed the challenges we've faced, and questioned the believe we both have, what plans We make and the plans The Universe have already made for us. And when it works against us, the greater challenge comes to accept certain things that happens in life. Cause in the end, we can't do more than trying. I wanna look back at life and say that "I did it", "I tried and did my best" and that "I don't regret a single thing of the choices I made".